Motorcycling is dangerous, and this is something even experienced motorcycle riders are not embarrassed to admit it. You simply can’t stop someone else from driving dangerously, and if you are on a motorcycle, your protection from any danger is minimal. Some modest motorcycle safety advances have recently been achieved, but motorcycles will never be as safe as automobiles, so most motorcyclists know that they need to take extra safety precautions. Statistics regarding motorcycle accidents, injuries, and fatalities can be difficult to interpret for several reasons, but the latest national statistics from the Governors Highway Safety Association show that motorcycle fatalities have decreased the last two years in a row. There were about 4,500 motorcycling fatalities in the U.S. in 2014, but that’s two percent lower than in 2013, and motorcycling fatalities in 2013 declined by six percent compared to the 2012 figure. WHY IS CRASH DATA SO DIFFICULT TO INTERPRET? One factor that muddles the interpretation of crash data is that motorcycle fatalities nationwide are about 25 percent higher now than motorcycle fatalities ten to twelve years ago. However, there are also significantly more motorcycles on the road, with their number doubling in the last two decades. Nevertheless, the slight, recent statistical decline in motorcycle fatalities is positive news. More motorcycles, unfortunately, means more motorcycling injuries and fatalities and 2014 was a particularly tragic year in North Texas. In Grapevine, one couple died on Interstate 635 when their motorcycle crashed into a guardrail. In Fort Worth, a motorcyclist drove directly into the back of a tractor-trailer, and Marcia Smith, 52, died after she lost control of her motorcycle and was tossed from the bike on Texas 121 near North Beach Street. WHY ARE THERE SO MANY MOTORCYCLE DEATHS IN TEXAS? Along with inexperience, a second factor that stands out about motorcycle fatalities in North Texas is the state’s helmet law. Marcia Smith wasn’t wearing a helmet, for example, when she was fatally tossed from her motorcycle in 2014. Motorcyclists over the age of 21 are not required by law to wear a helmet in Texas, provided that they carry proof of successful completion of a certified rider training course or proof of medical insurance covering any injuries that result from a motorcycle crash. Only twenty states require all motorcyclists to wear a helmet at all times while motorcycling, but probably the most important step in reducing motorcycling fatalities in North Texas would be increasing helmet use. For decades, virtually every research study on the subject has concluded that helmets are the single most effective tool for preventing serious injuries and death in a motorcycle accident. Motorcycling is dangerous without needlessly adding to the danger, so it’s tragic that about 28 percent of the motorcyclists who die in fatal accidents are legally intoxicated. Drinking and driving is never excusable, and motorcyclists in Texas who are caught driving under the influence will face some of the stiffest DUI laws in the country. A first conviction for DUI in Texas is punishable by a fine of up to $2000, up to 180 days in jail, and a 90-day driver’s license suspension. WHAT OTHER FACTORS CAUSE MOTORCYCLE DEATHS? Speeding and reckless driving also have to be counted as factors in fatal motorcycle collisions. More than a third of the motorcyclists killed in crashes – 34 percent – were speeding. Veteran motorcyclists know that it’s a good idea to slow down. This is because a motorcycle has only two wheels; therefore, slick pavement, potholes, and debris on the road can pose a considerable threat. And frankly, the slower you move on a motorcycle, the easier it will be to brake suddenly if necessary. If this sounds like the entire burden for highway safety is on motorcyclists, it’s not and a motorcyclist can only take so many safety precautions. Auto and truck drivers have a responsibility to stay aware of what’s happening around them as they drive, and particularly to be aware of bicycles, motorcycles, and pedestrians. Texas transportation officials say many collisions are caused by drivers failing to yield to motorcyclists, and any experienced Fort Worth or Dallas personal injury attorney that has represented injured motorcyclists, as well as those injured by motorcyclists, can attest to this. WHO MUST TAKE THE ULTIMATE RESPONSIBILITY? However, most motorcyclists know that they must take the ultimate responsibility for their own safety, for one obvious reason. When a motorcycle and a car crash into each other, the car is going to win every time. Broken bones, severe road rash, burn injuries, spinal cord injuries, traumatic brain injuries, and paralysis are just some of the serious consequences that can happen when a negligent driver crashes into a motorcyclist. 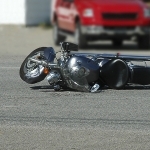 When a motorcycle accident isn’t fatal, it is almost always devastating and life-changing. Motorcyclists in Texas who are injured because a car or truck driver was negligent are entitled by law to full compensation for their medical care and related expenses, but the law is complicated, and issues involving liability, insurance coverage, and medical care will require thoughtful consideration. Injured motorcyclists may need to obtain legal advice from a Fort Worth or Dallas personal injury attorney. Motorcycle fatalities across the country should continue to decline, and fatality numbers in Texas should quickly begin lining up with the national trend. 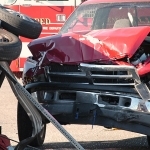 Advanced safety technology, enhanced DUI enforcement, and the public’s increasing awareness of the need to drive cautiously are all positive developments. Still, if you are riding a motorcycle, especially in North Texas, be extra careful. Far too many motorcycle-related injuries and deaths happen in the state of Texas, and the time to start reducing the injuries and fatalities is now.